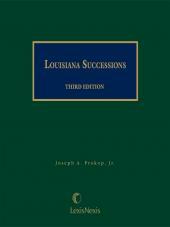 Louisiana Successions is an overview of the substantive and procedural Louisiana law of estates and a practical tool for attorneys. The author packed this start-to-finish guide with aids in preparing succession pleadings for attorneys who need to understand the substantive law of successions. 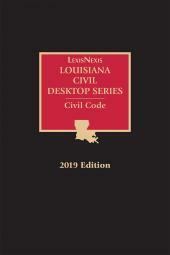 Louisiana Successions also includes a comprehensive checklist for the administration of successions plus adaptable forms for court pleadings. 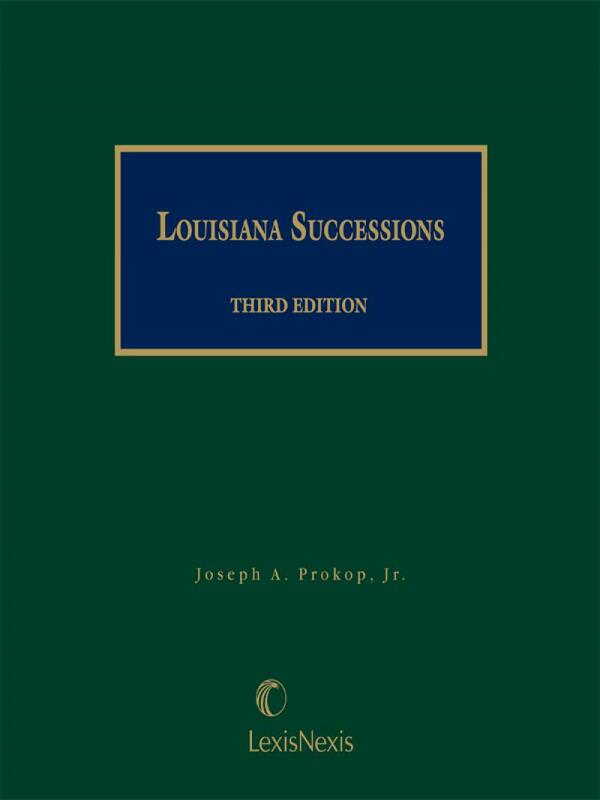 Joseph A. Prokop, Jr. is the owner of Joseph A. Prokop, Jr. & Associates, a firm in Baton Rouge with its practice is concentrated in the areas of estate planning, probate, estate administration, transfer taxes, interdictions, tutorships, mental health law and elder law issues. 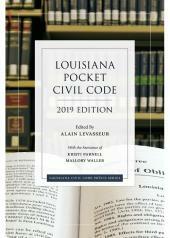 He is a Board Certified Estate Planning and Administration Specialist Certified by the Louisiana Board of Legal Specialization. Mr. Prokop is a frequent lecturer on estate planning, issues affecting the elderly and disabled, probate, advance directives, interdictions, and judicial commitments. He received his B.A. 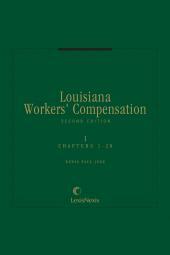 degree from Louisiana State University, his J.D. degree from Thomas M. Cooley Law School, an LL.M. degree in Estate Planning and Administration from the University of Miami Law School, and an LL.M. degree in Elder Law from Stetson University Law School. Mr. Prokop is a member of the Louisiana State Bar Association and the State Bar of Michigan. He also is a member of the National Academy of Elder Law Attorneys.